iTranslate - free translator – Competition for Google Translate? There's no doubt in my mind that translating is one of the most useful tasks that can be accomplished by smartphones, especially when you work in a team and with a community that's as international as the AndroidPIT motley crowd. Now, you might think that the most popular translation tool is good ol' classic Google Translate—but how do other translator apps compare? 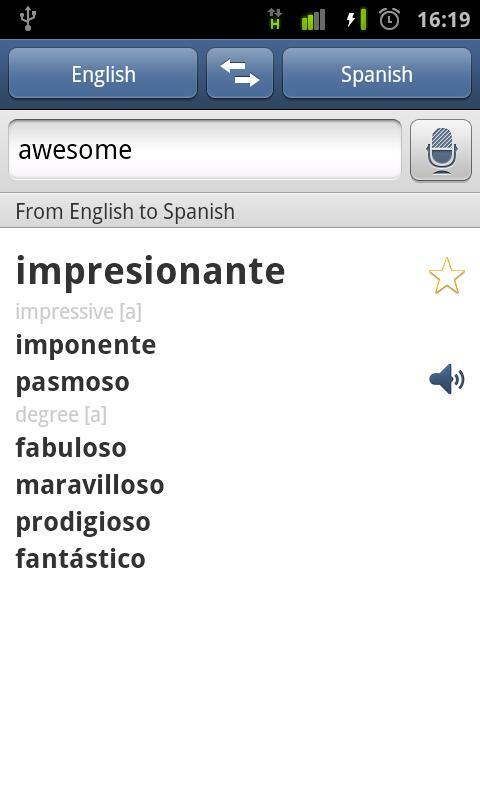 In particular, how does the popular iPhone app iTranslate - free translator – now available for Android – fare? Let's take a closer look at it, shall we? iTranslate - free translator is very popular amongst iOS users—in fact, it's one of the most downloaded translator apps in the Apple App Store. Let's take a look at some of the differences between iTranslate and Google Translate (which I assume a lot of you will be familiar with). The language options are located at the top of the display. In the middle you will find a double arrow allowing you to switch back and forth between two languages, translating into one or the other. Check out the app description to see into/from which languages the app can translate words for you (there are quite a few!). The input field is located just below, along with the button that sets a language. 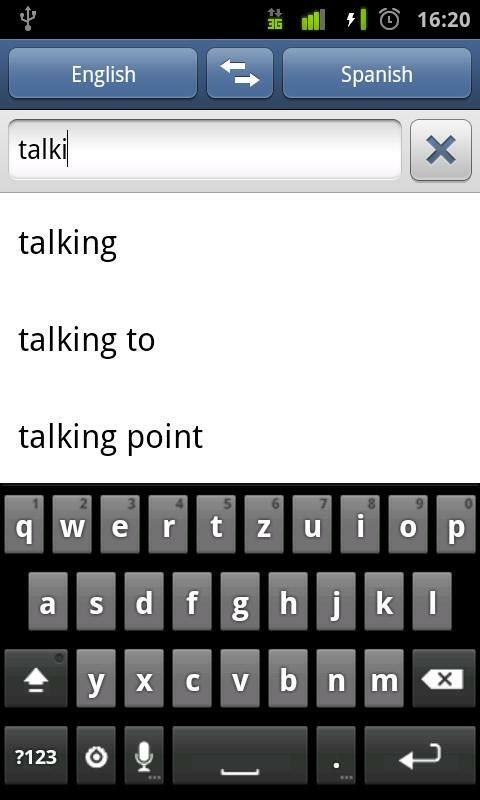 Use the standard Android speech input in order to use speech to text, which, by the way, works marvellously. Here iTranslate clearly has a leg up on the Google App: when you begin to enter a word suggestions begin to pop up, which makes everything a little bit faster and easier. The search results also harbour a great extra function: synonyms are displayed in both the source and target languages. Individual translations can be looked up in the history as well as marked as favourites. A drawback: there's no conversation mode, which is a function I'm particularly fond of as it allows you to speak into the device in a given language and the translation is then reiterated via speech output. This makes it possible to have entire conversations, if somewhat cumbersome and long-winded. What's especially annoying is that this function is already integrated in the iPhone version of the application. Oh well, let's hope the Android community will also be able to benefit from it in the not-to-distant future. iTranslate - free translator is definitely a strong contender for users looking to install a translator app on their Android devices, even though it doesn't have all the cool options that some other translation tools provide. That said, I prefer the translation suggestions to what, say, Google Translate comes up with. As mentioned, the conversation mode is missing from the Android version of the app; it exists on the iPhone version as well as Google Translate. I actually still prefer Google Translate to iTranslate - free translator, but it's really an apples and oranges type situation. iTranslate - free translator does well in this category. The UI is similar to Google Translate, but I actually prefer it. That said, there's no tablet layout, even though an iPad version of the app exists. iTranslate - free translator scores top marks in this category—both speed and stability are excellent, with very few crashes and very brief loading times. iTranslate - free translator can be downloaded for free (though not free of advertisements) from the AndroidPIT App Center as well as the Android Market.